Scoliosis is a chronic spinal condition that results in a sideways curvature of the spine. Most cases of scoliosis are mild, but in some people, it can result in spinal deformities that worsen with age. If you are an adult with scoliosis, you are more likely to experience chronic back pain as well as other physical changes such as uneven hips and shoulders. You may have already tried traditional exercise programs to help strengthen, stretch and improve your body balance and found that they just made your pain worse. Pilates can help to strengthen and improve the flexibility of the involved muscles and the imbalances caused by scoliosis as well as strengthening your core muscles, increasing coordination and decreasing stress. The benefits of Pilates for people with scoliosis are many, but, perhaps, the most important thing that Pilates can do is to teach you how to manage your condition. Pilates exercises will target your back muscles by improving their strength which helps to reduce pain and improve your overall stamina. This can be done in conjunction with a brace, if necessary, which helps to eliminate motion in order to help you to be able to participate in Pilates conditioning. Pilates is a safe and low impact form of exercise that can help with your posture and teach you body awareness. The idea behind Pilates is to create a balance in your body through strengthening and alignment. At Propel Pilates and Fitness, located in Rancho Bernardo, we are committed to providing you with a safe and focused workout that will help to reduce your chronic back pain as you learn to work on improving your posture. In business since 2008, Propel Pilates is one of the best equipped Pilates and personal training facilities in North County San Diego. Pilates can help to improve your lung and heart health, mobilize your spine, and reduce chronic pain. At Propel Pilates we will design an individualized program that combines strength and endurance — building exercises with breathing exercises and those that work on the elongation of your spine. 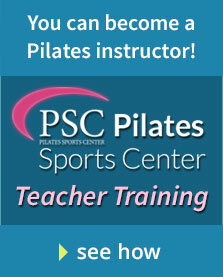 Our instructors will provide you with stretches for scoliosis that you can do at home. Before beginning any exercise program, it’s important to have approval from your physician. If you have scoliosis and are looking for Pilates instructors in the San Diego area, contact Propel Pilates to schedule a class. Check out our website to read testimonials from many of our satisfied clients.